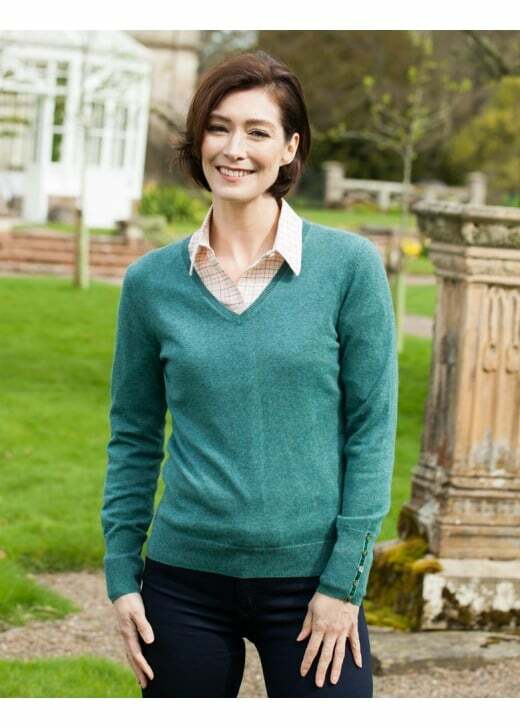 Schoffel's Cotton Cashmere V-Neck Jumper is the perfect piece to add a pop of colour to any woman's wardrobe. Schoffel's Cotton Cashmere V-Neck Jumper is the perfect piece to add a pop of colour to any woman's wardrobe. Versatile and stylish, this V-neck can be dressed up for a smarter occasion or worn casually as an everyday garment.